N.Y. schools have changed, but for better? 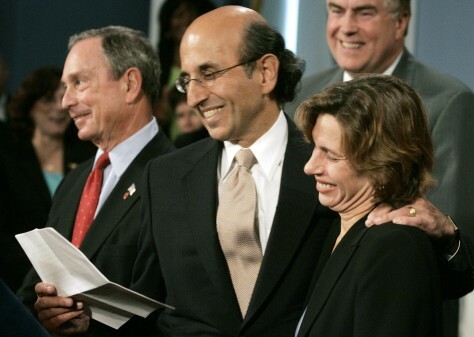 New York City Schools Chancellor Joel Klein and United Federation of Teachers President Randi Weingarten were partners for school reform at this press conference on Oct. 3, 2005, along with Mayor Michael Bloomberg, left. But Weingarten now often finds herself at odds with the mayor's approach.